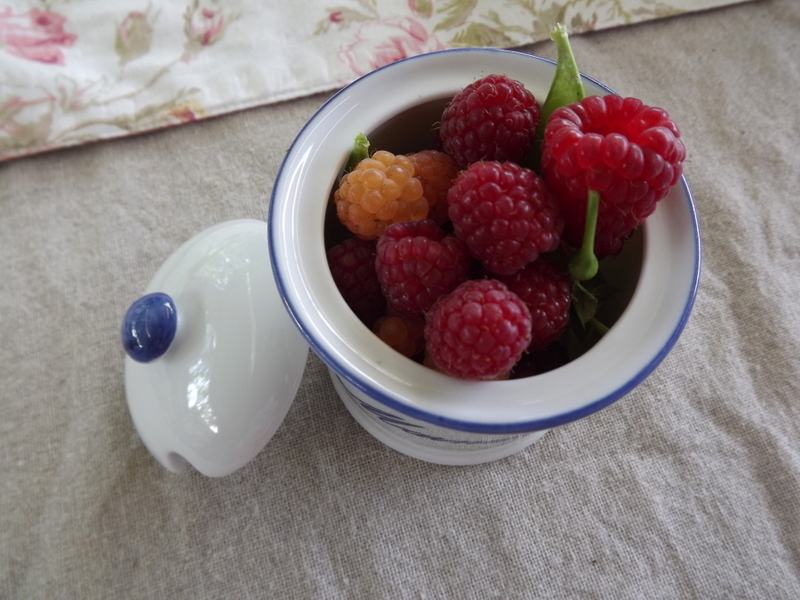 Here are some gifts from the raspberry patch in the back garden…a few raspberries, both yellow and red and a pea pod for a little gift for my Mom. I bought the jar at a garage sale. 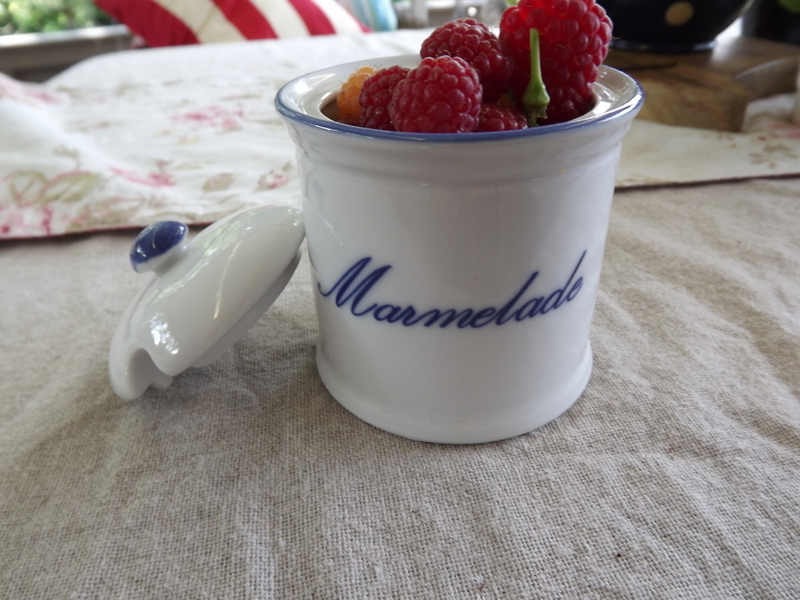 I thought she could use it since she makes the most wonderful marmalade. 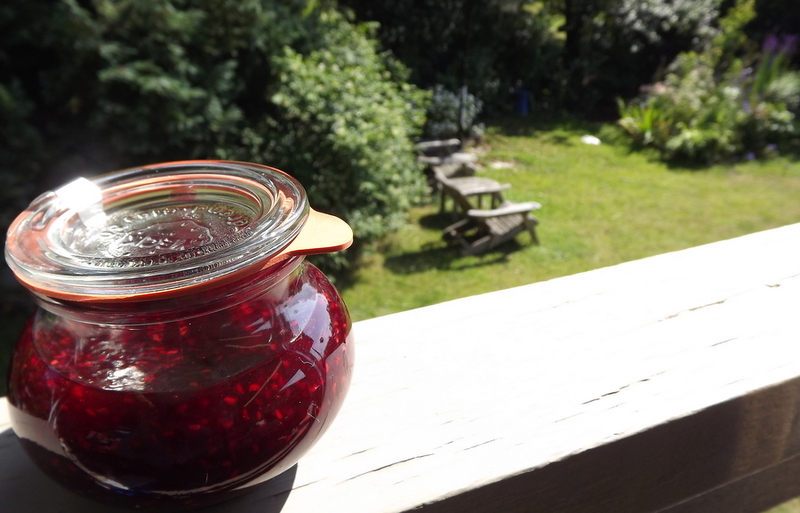 I know lots of people make their own jam, and with this jar, I am joining this group for the first time. I felt so proud of myself for growing the berries and then making the jam (using my Mom’s recipe- just berries and sugar). I loved sharing with my family and friends the results of my gardening efforts. 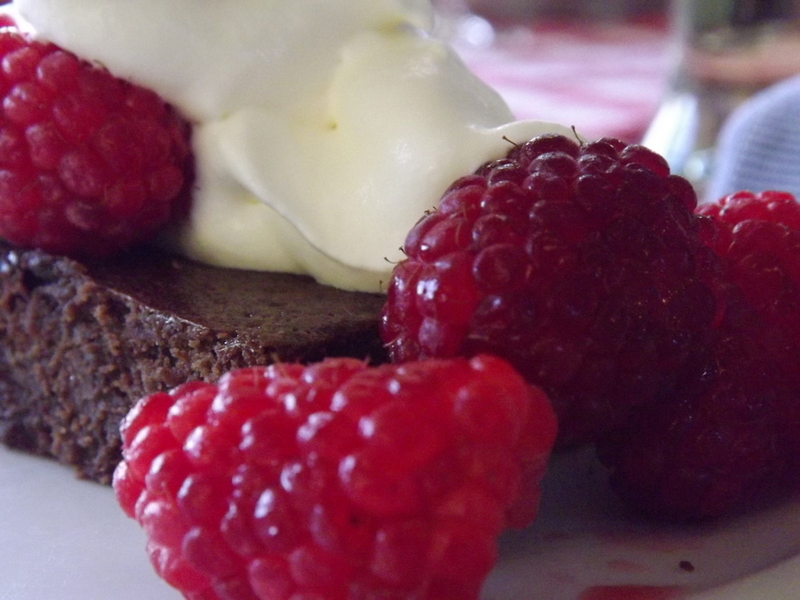 I love the taste of berries with chocolate… here are some homemade brownies with fresh local raspberries. When one enjoys the fruits that are local and in season, not only do they taste sweeter but they are appreciated more. Do you have favorite fruits that you can’t get enough of when they are in season where you live? Chocolate brownie and berries – what more can you really dream of?